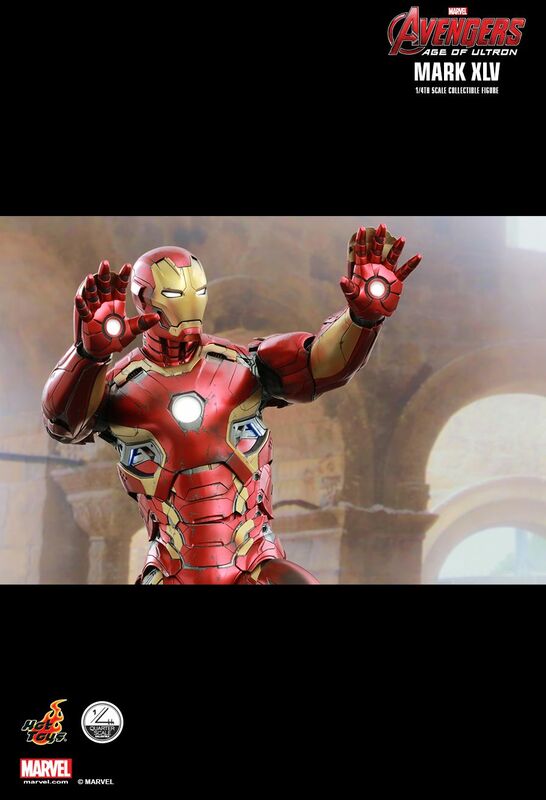 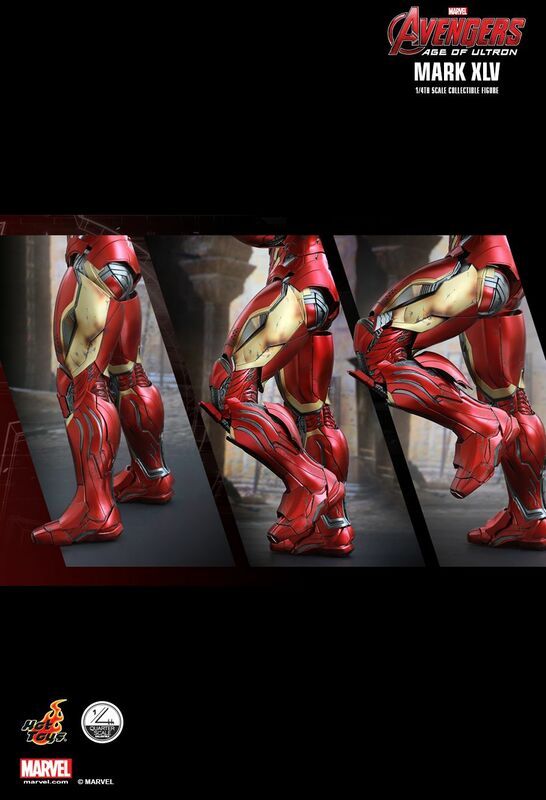 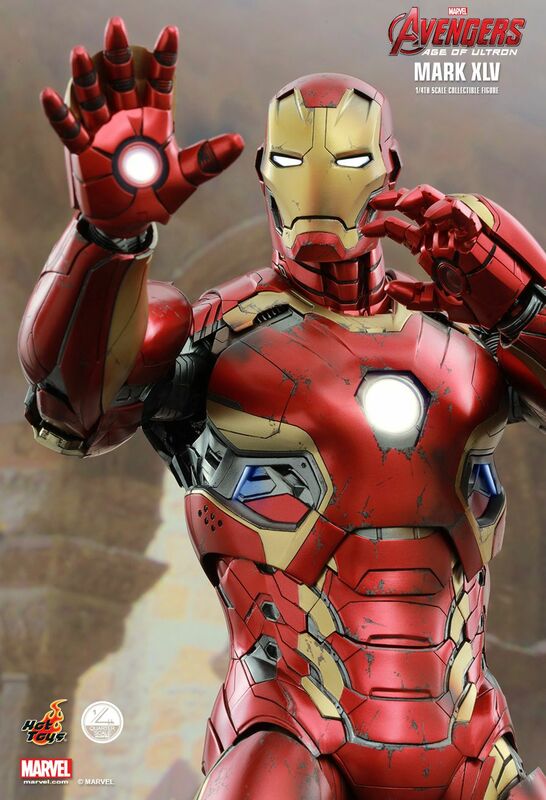 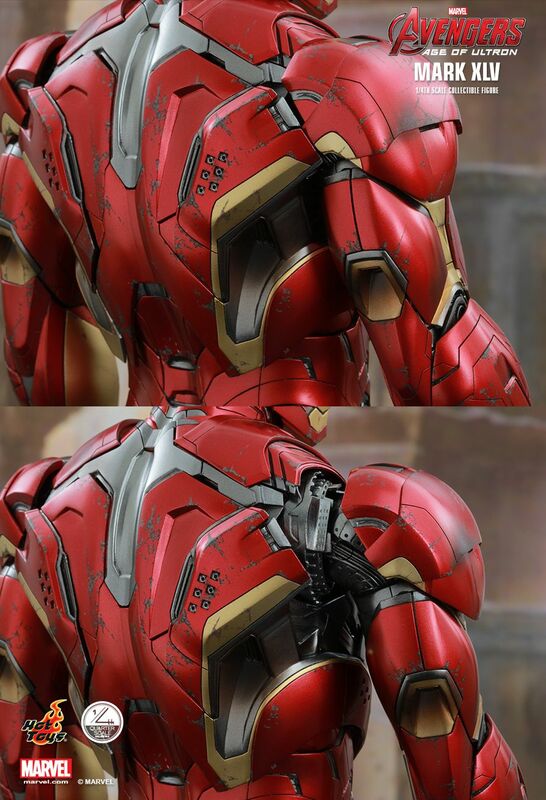 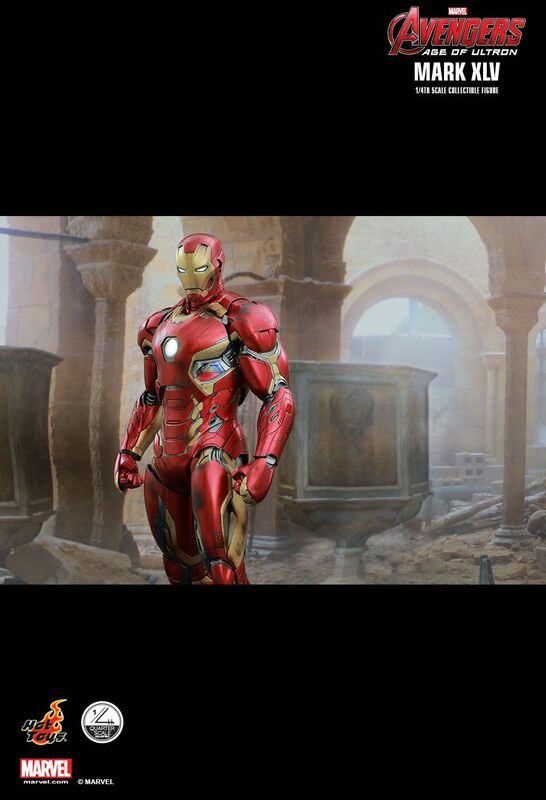 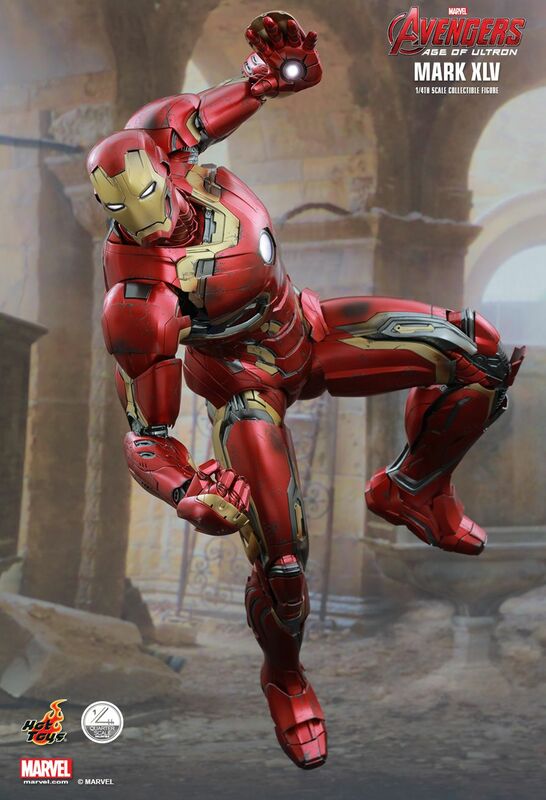 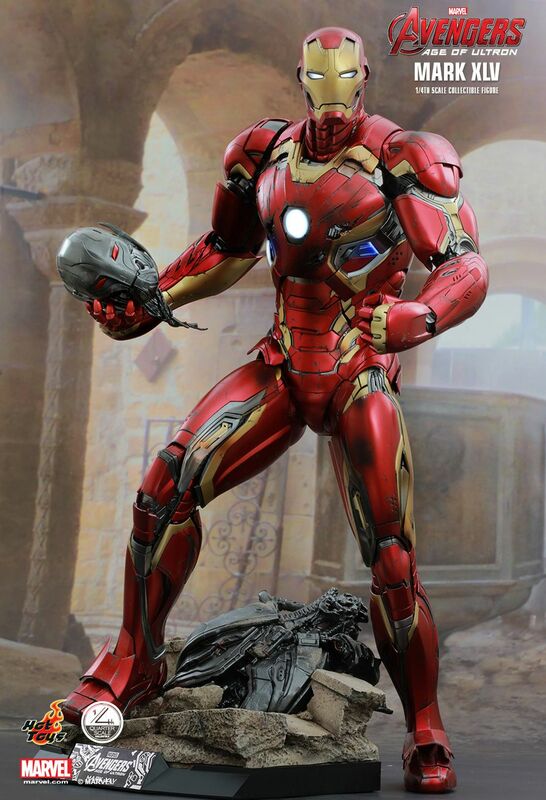 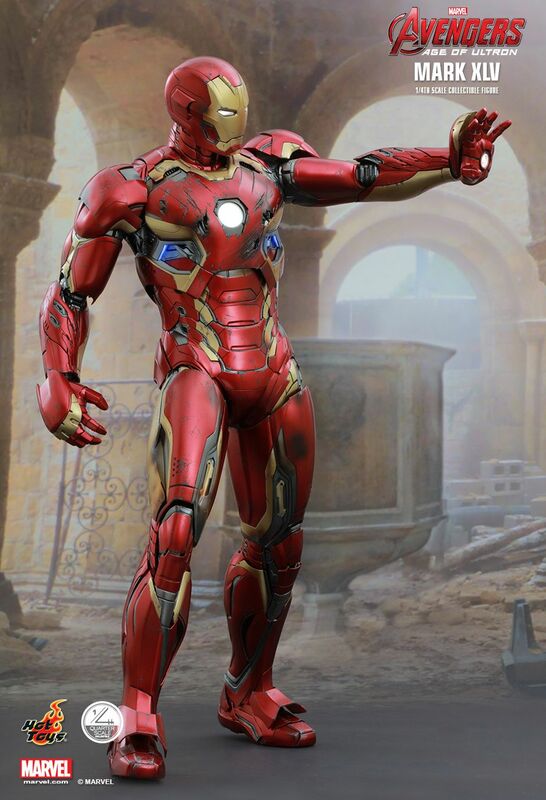 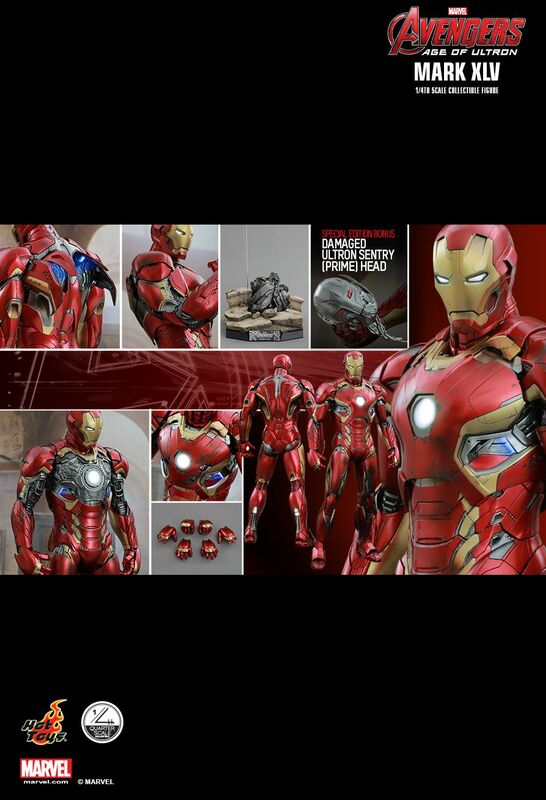 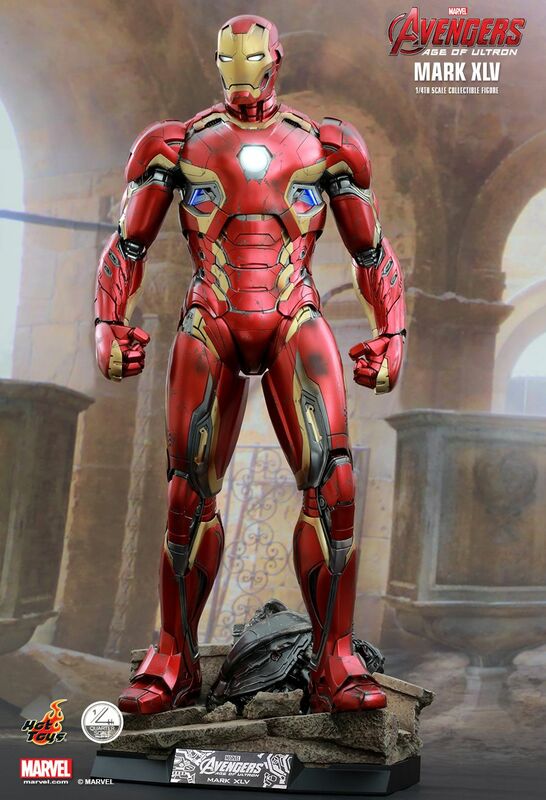 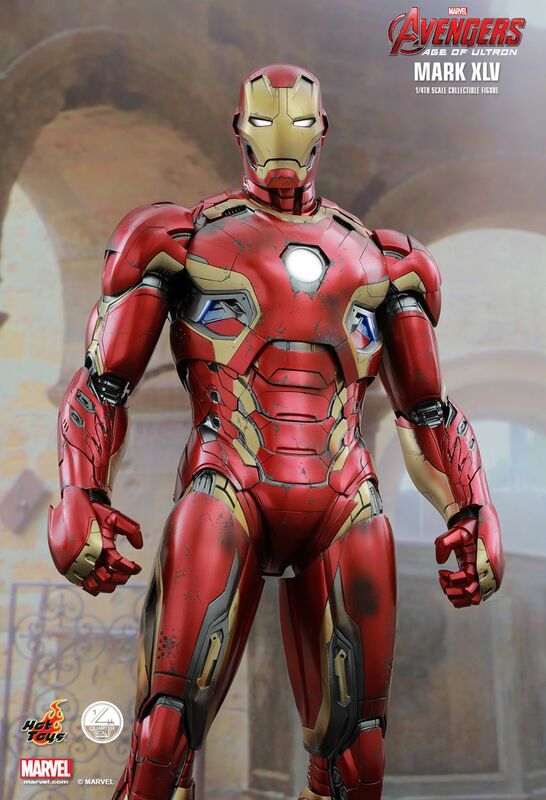 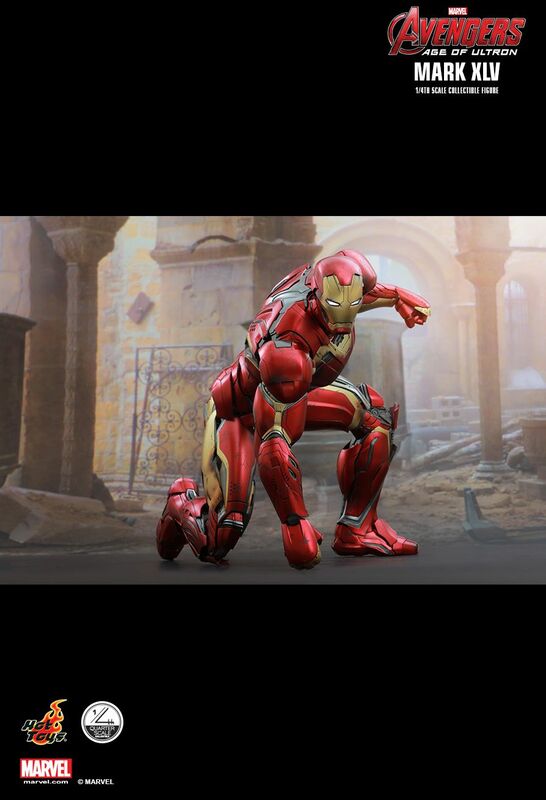 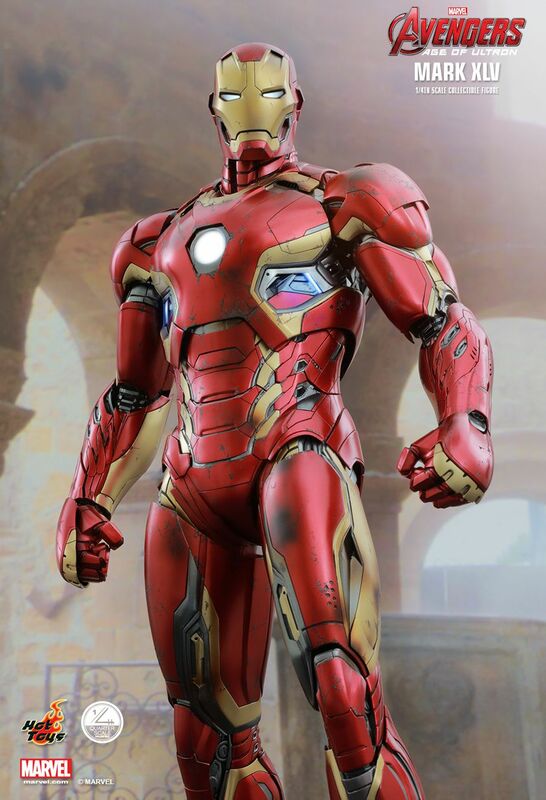 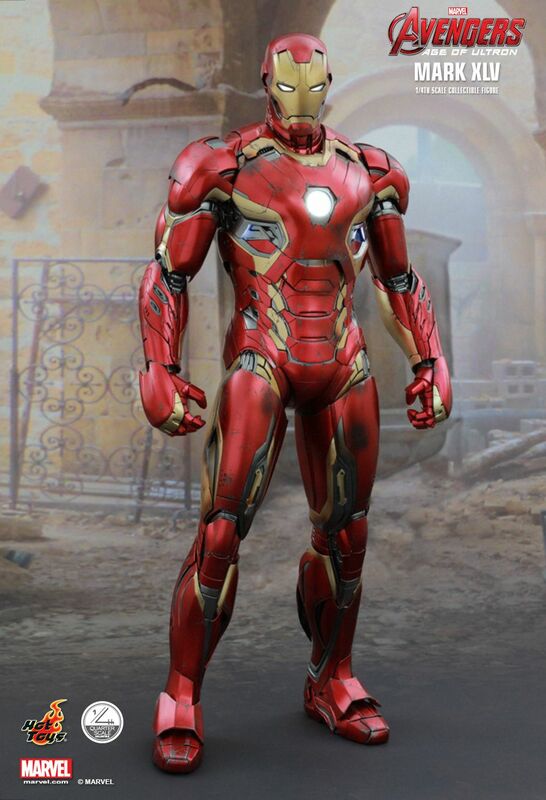 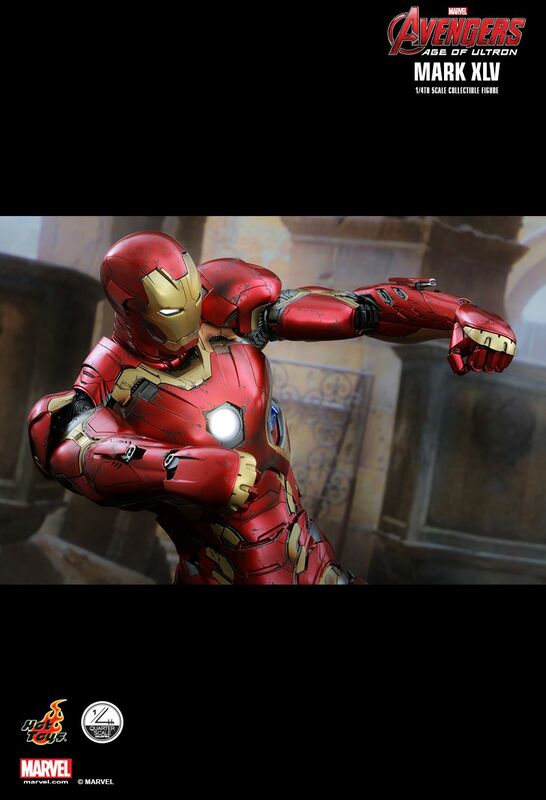 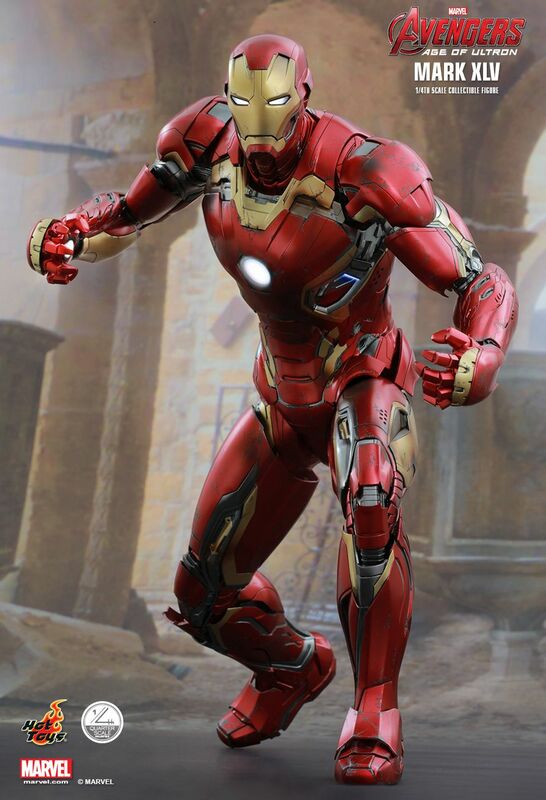 In Marvel’s Avengers: Age of Ultron, Tony Stark has suited up in his brand new Mark XLV armor for the final battle in Sokovia against the artificial intelligence Ultron. 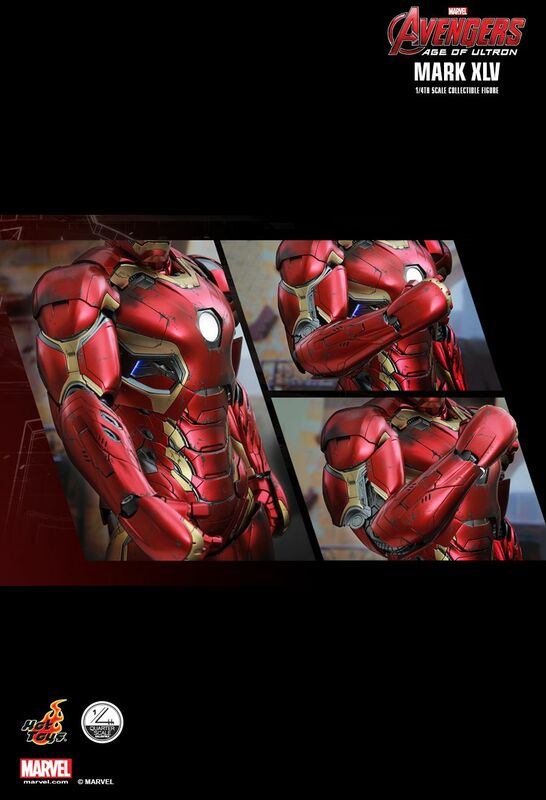 This new suit has captured many fans’ attention with its unique streamline and sleek design! 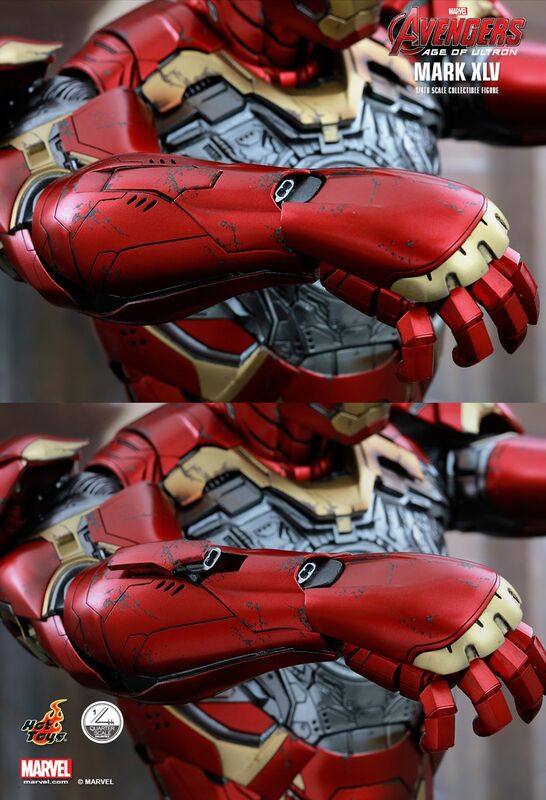 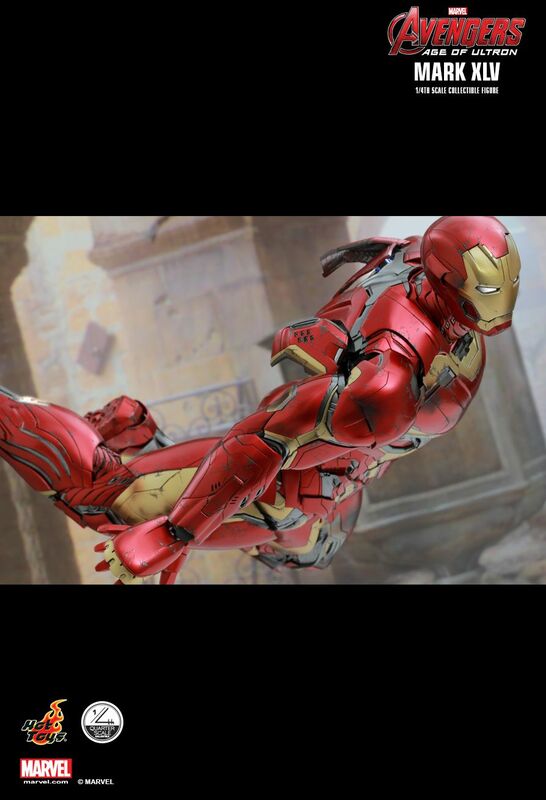 Today, Hot Toys is thrilled to officially present the Mark XLV Collectible Figure as the latest addition to our Quarter Scale series! 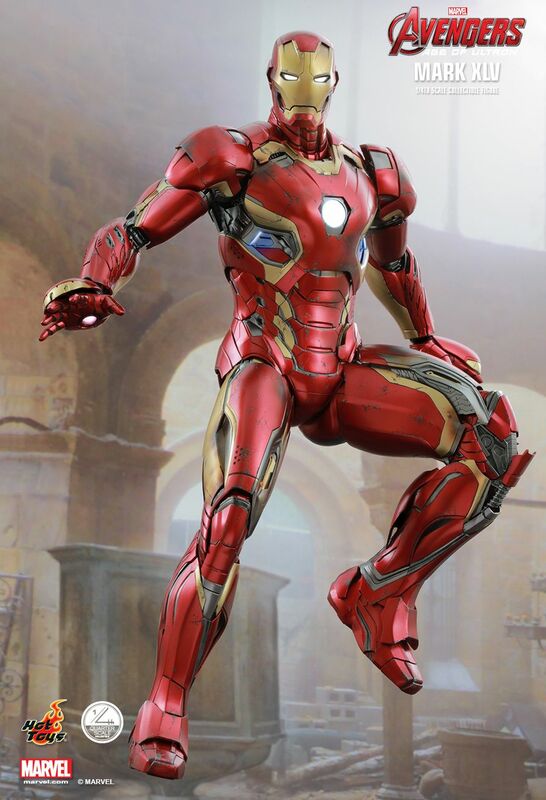 A Special Edition will be available for selected markets which includes bonus additional 1/4th scale Ultron Sentry (Prime) head sculpt and a secret accessory.